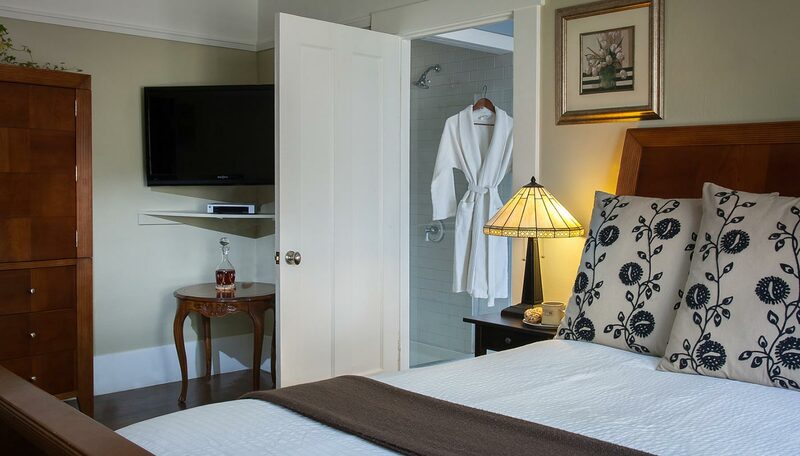 Luxury awaits in our romantic Calistoga inn. 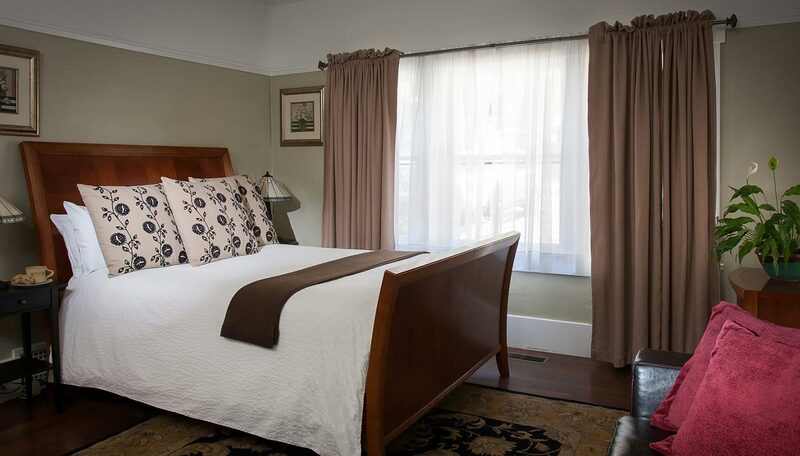 On the ground floor of the Craftsman Inn, our bed and breakfast in Napa, CA, the Howell room retains many of the original Craftsman features of the house’s 1912 heritage. 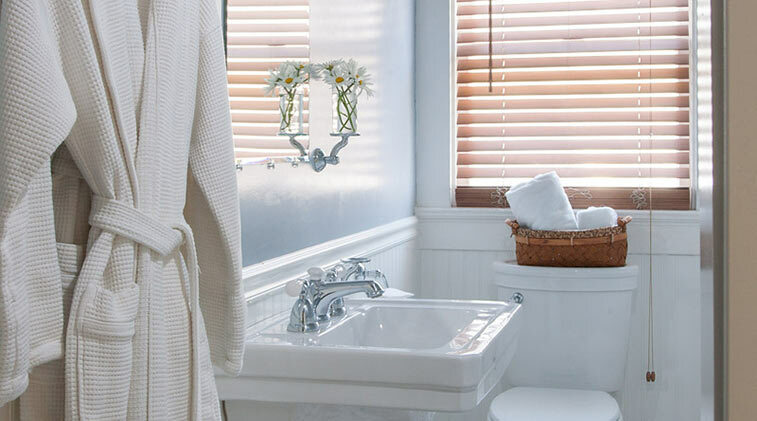 The original windows, hardwood floors and the picture rail on the lath and plaster walls all evoke the elegance of the Craftsman era. In addition to the soothing pillow topped Queen bed this room contains a comfortable sitting area with a large leather sofa where you can relax and read or sit back and enjoy a movie on your flat screen TV. The sofa contains a full size sleeper and with this the room can accommodate up to 4 people. 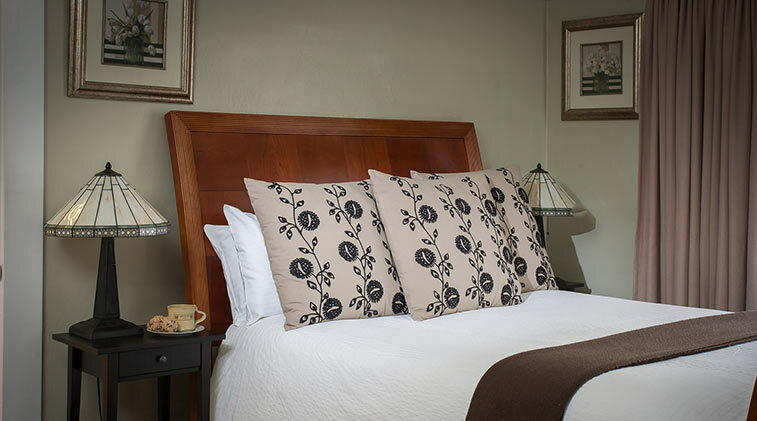 The additional guest charge is $35 per person per night. 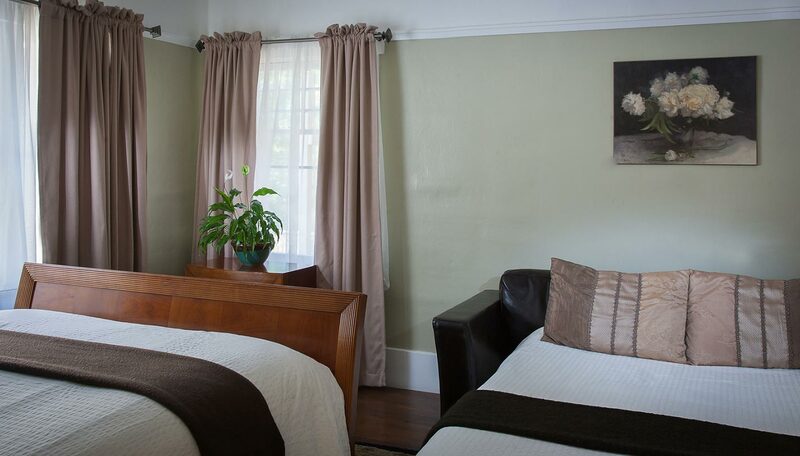 If you are traveling with family or friends this room can also be reserved with the Spring room to create a roomy two bedroom, two bathroom suite that can accommodate up to 6 people. You can also reserve a private massage for you and your partner, and the luxury period tiled bathroom has a large steam shower. 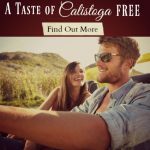 "We celebrated our one year wedding anniversary here and it was the most perfect and romantic stay! Thanks!"